Among scientists, a “chalk talk” means a lecture without a laptop and beamer to display fancy graphics, but simply using a blackboard and a piece of chalk to draw diagrams and formulas while you speak. It’s sort of going back to the basics to force you to explain your topic clearly. Last week I also went back to the basics, leaving my laptop behind to go on a 5-day walking trip through Zuid-Limburg, the southernmost area of The Netherlands. This region is well known for its extensive layers of limestone, and the 90km walking path I followed is appropriately called Krijtlandpad, or chalkland path. It was indeed a beautiful “chalk walk”, also highlighting many of the other things the region is famous for, including the country’s highest point. Some 65 to 70 million years ago, during the geological period called the Cretaceous (Krijt in Dutch), the area was covered by a sea. The remains of small marine animals sank to the bottom, forming a thick layer of sediment. Later on, this deposit was transformed into limestone, a soft and “chalky” type of rock (also called krijt in Dutch). Much of the hilly region of Zuid-Limburg consists of this type of rock, which in some areas has become exposed again due to erosion or sometimes mining. A long-distance walking path going through this area is appropriately called Krijtlandpad. A trail marker along the Krijtlandpad. The path starts and ends in the city of Maastricht, located along the Maas river, and forms a loop around the region, going through its hills, forests, farmland, and local villages like Slenaken, Vaals, Vijlen, Gulpen, and Valkenburg. The total length of the path is 90km, and unlike anywhere else in The Netherlands offers some actual elevation differences. Although there are no sustained climbs of more than 200m, the cumulative elevation difference along the entire walk is around 1800m. 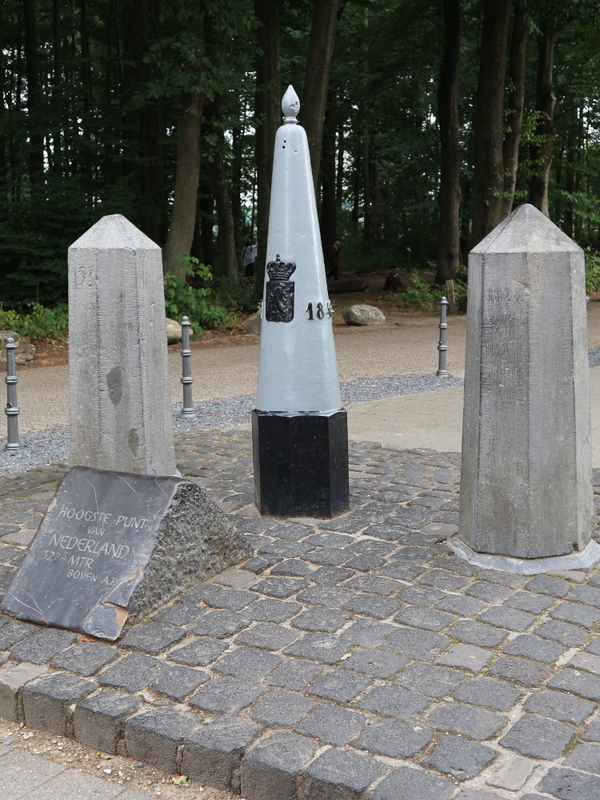 The walk also passes the three-countries point, where the countries of The Netherlands, Belgium, and Germany come together, which is also the highest point in The Netherlands, at 322.5m above sea level. Not bad for a country that has one-third of its area actually below sea level! The elevation profile of the walk. Click the image for a full-size view. The region is famous for many other things besides its limestone foundation. 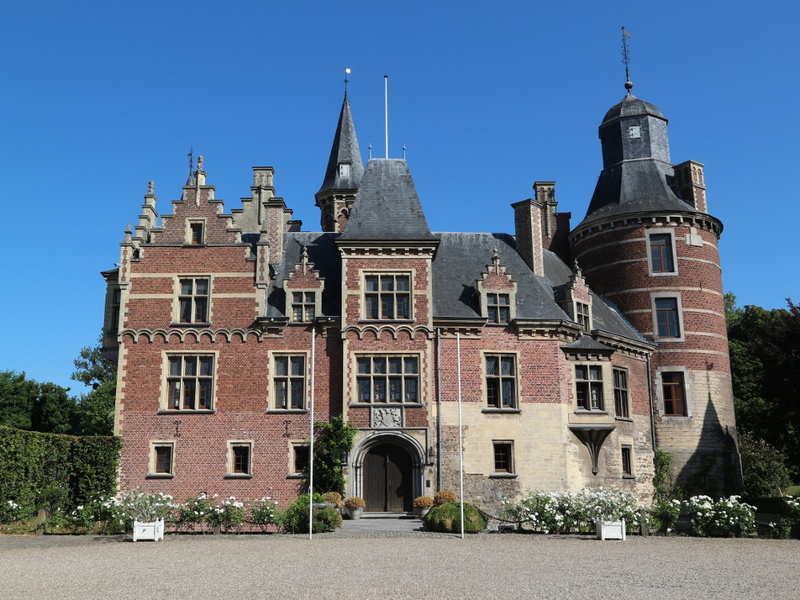 There are also several beautiful castles in the area, from old ruins in Valkenburg to elaborately restored ones in, for example, Eijsden and Mheer. The walking path passes right by these castles, but they can also be visited without having to do the entire walk, as they are easily reached with public transportation or by car. Another architectural delight are the many half-timbered houses. More a German style, they can be found all over Zuid-Limburg as well, and the walking path takes you past several of them. 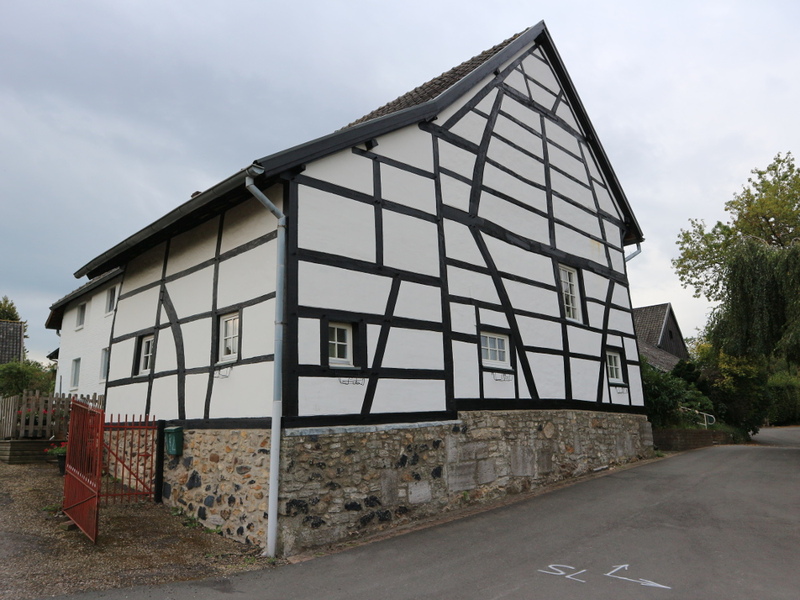 One of the many half-timbered houses along the way. 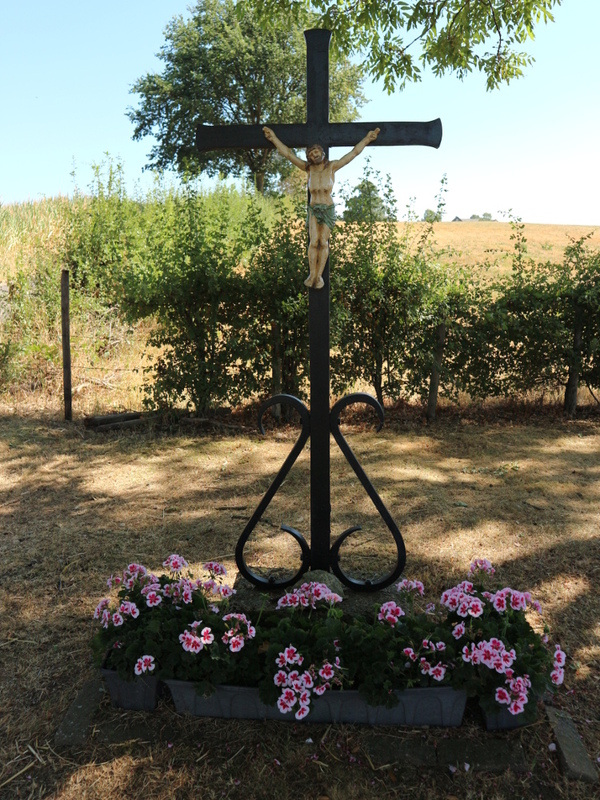 Given that this part of the country is still very much a Catholic area, there are religious shrines on almost every road junction. Sometimes a simple little statue, sometimes an elaborate construction, they are never far away no matter where you are. For the same reason, there are also many beautiful churches all over the area. Just one of the hundreds of religious shrines in the region. With The Netherlands being a very flat country, Zuid-Limburg is quite an exception. Unlike other parts of the country, it is very hilly and also contains the country’s highest point at 322.5m above sea level, on top of the Vaalserberg. You can reach it by car or public bus from Vaals, and the walking path also passes right by it. A post marking the country’s highest point on top of the Vaalserberg. 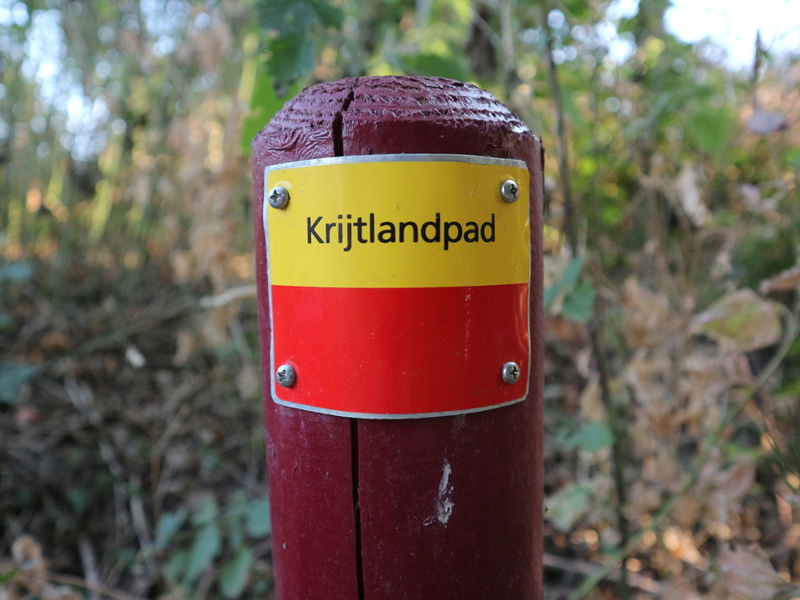 Finally, to truly earn its name, the Krijtlandpad also passes by some areas where the limestone is exposed again, either due to erosion or due to mining. In particular, just before returning to Maastricht, the path offers a nice view over an old marl quarry. The Curfsgroeve, an old marl quarry near Maastricht. Click the pic for a full-size view. All in all, this 5-day walking trip was highly worth it. For a more detailed impression of this “chalk walk”, more pictures can be viewed elsewhere on my website.